One-hour webinar deep dives into the role of chemicals in the rising rates of metabolic disease that are leaving people struggling with weight gain, insulin resistance, diabetes and obesity. The Masterclass will give you tools to help your clients & patients quickly reduce exposures to these “everyday” weight-inducing toxins. The Calories In, Calories Out Model Does Not Work! As health and wellness practitioners, we all know that metabolic issues like weight gain, resistant weight loss, insulin resistance, diabetes and obesity are on the rise, with more and more people seeking support to overcome these problems. Problems you will absolutely be seeing in your practice. 2.1 billion people, or nearly 30% of the world population are currently overweight or obese. 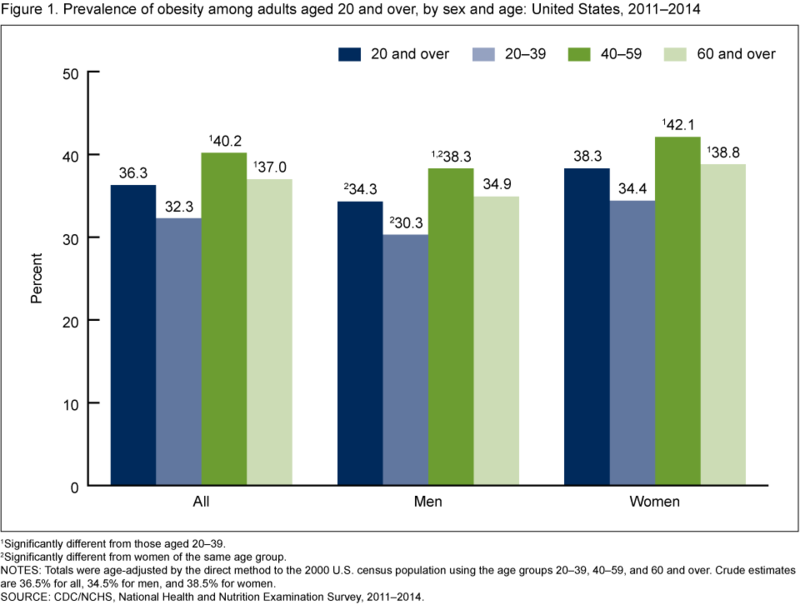 According to the CDC, 36.5% of adults in the US now medically qualify as obese, and rates of childhood obesity have tripled since the 1970’s. This is a global health crisis. But addressing these problems through diet and exercise alone doesn’t always work. Increasingly, research is pointing to “non-traditional risk factors” as major contributing factors. One of these are environmental chemicals. Allied health practitioners, like health coaches and nutritionists are on the front lines of this issue. In order to better support their clients and patients, it’s essential for them to be well versed in this connection between chemicals & metabolic diseases. 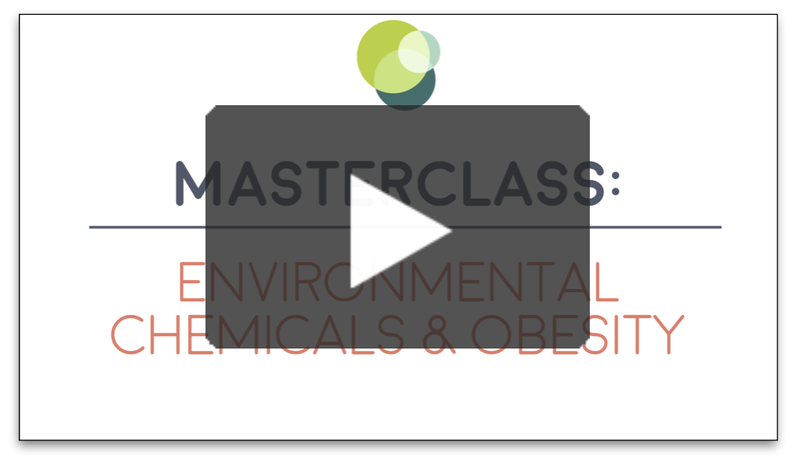 I created this 1 hour Masterclass to help allied health professionals better understand the links between environmental toxins & the increase in weight & metabolic issues that millions are struggling with. All students receive access to my private student-only Facebook Community where you’ll be able to connect with over 1,000 other health professionals and healthy minded consumers, all working to “detoxify” their lives, and elevate their fluency around environmental toxins. Once you’re enrolled in Masterclass, your access to the membership page & Facebook group never expire, for as long as this course exists. If the course gets updated, you stay up-to-date with all the new research and content! THE WORLD NEEDS MORE HEALTH PROFESSIONALS WHO UNDERSTAND ENVIRONMENTAL HEALTH! In just 1-hour, you’ll have a clear understanding how some of the chemicals we’re exposed to every day can directly or indirectly cause weight gain, insulin resistance, and diabetes. This knowledge will provide more tools for you to support your clients who are seeking to reduce their weight. 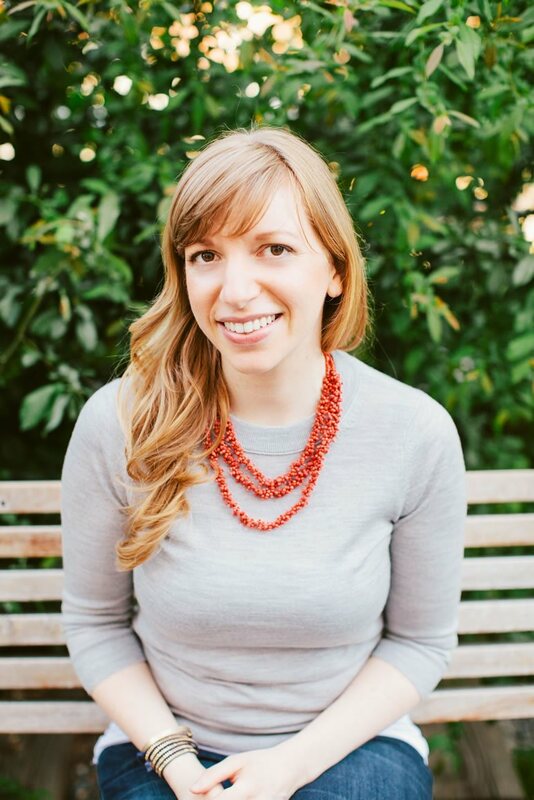 Hi, I'm Lara Adler, a self-proclaimed super-nerd, whose genius is transforming complicated research about a scary, doom and gloom topic (toxins!) into easy to understand and actionable steps designed to help protect your health. 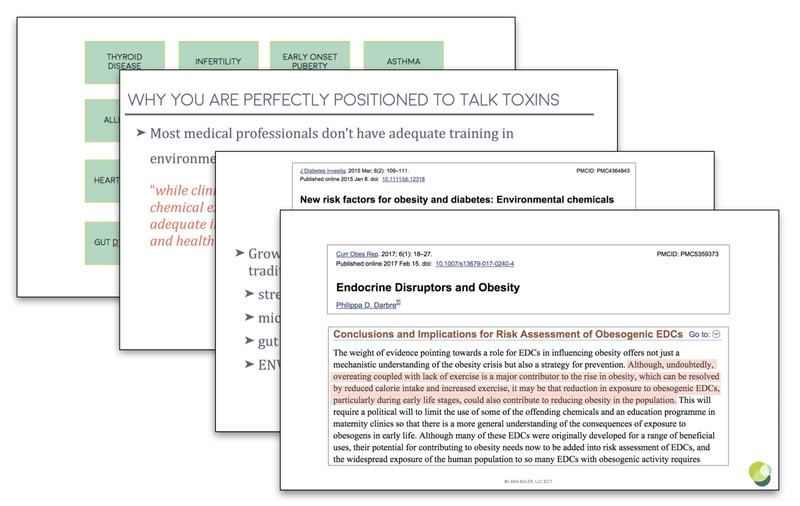 Since 2012, I've taught nearly 3,000 people - mostly health practitioners - about environmental toxins: what they are, where they're found, how they affect us, and most importantly, what we can do about them. I've also worked with my practitioner students on integrating environmental health into their practices, across multiple modalities, in a way that's engaging and empowering. This course is perfect for anyone who works with people around chronic health issues in any way, especially weight related issues. Regardless of the modality that you work within, your clients, patients, or audience are likely dealing with some form of metabolic stress, that results in struggles with weight. What you learn in this masterclass will help you to understand this problem of out of control weight from a new perspective and will give you tools to start address the problem head on! If you’re not a health professional, but are interested in a deeper understanding of your own weight issues, and you’re a little nerdy, this class will be eye-opening and will help you to address some of the obesogenic toxins in your home! Why should I enroll in this Masterclass? Because a critical missing piece of the health conversation is about environmental toxins, and we can’t pretend they don’t affect us. And because we need to start looking at issues around weight differently! We know that calorie management, and even the addition of exercise don’t always solve the problem. More and more people in the world are becoming hip to the idea that chemicals in our everyday lives might be making them sick, but they rarely know enough to actually make any meaningful changes. This Masterclass will help you understand the role that chemicals may be playing in our out-of-control weight epidemic, and give you actionable steps to take to reduce exposures; for yourself and anyone you serve. You’ll get a one-hour webinar, downloadable presentation slides, a companion handout, list of references, plus tons of new information about why your clients or patients aren’t losing weight. This is a great tool for your toolbox, whether you’re a practitioner or not! You’ll also be invited to join my active and engaging “Talking Toxins” private Facebook group, exclusively for my students. Each month, you’ll be able to join our LIVE Q&A Session where you can chat live with me about obesogenic chemicals, or any other environmental health related questions. Your access to this group does not expire! I’ve priced these Masterclasses super low because I want to make learning about these issues super simple! Because you get immediate access to the webinar, the slides, and the companion handout, no refunds are offered. But my hunch is that you won’t want a refund anyway because this class is rich with information and some of the newest research on the connection between toxins & metabolic disease! And you’ll be able to share what you learn with your clients, patients, and audience AND apply in your own life! Because you will have immediate access to the Masterclass recordings, slides, and handouts, no refunds are available.